A sense of sauna tradition. 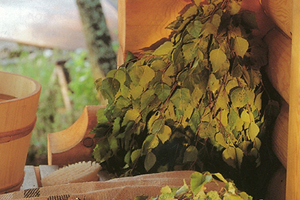 An original, honest expression of our Finnish roots, the sauna is rich with tradition. 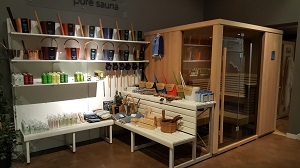 And like all good traditions, it is as relevant today as it’s always been.While in the old days sauna used to be a small cabin standing at the edge of the yard, it is now equally at home in a high-rise apartment or a detached house. The sauna tradition lives on today with state-of-the-art Helo electric and wood-fired heaters. Customer orientation is a Helo cornerstone. Active support, training and dialogue with distributors ensures first class service throughout the whole supply chain. The complete range includes sauna and steam rooms from the simplest to the most luxurious, an extensive range of electric and wood-fired heaters, steam generators, infra-red cabins, and hi-tech control systems. We can even help you accessorize your new sauna. Helo R&D actively develops new products and solutions to meet market demand, drawing on feedback from our network of distribution partners worldwide. Helo works with top designers and experts to ensure new products both look and perform to our—and your—most exacting standards.